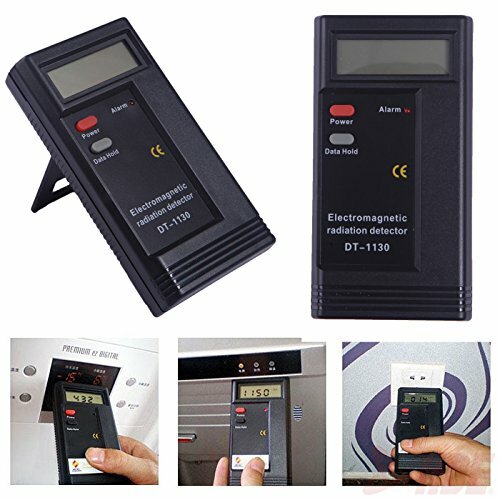 View More In EMF Meters. Ever wanted to know how much radiation comes out of your electronic appliances? Or are you an electrician who needs to test if current is coming out of a line without having to take the outlet apart and testing it with a power tester? Well this is the perfect solution. With this portable lightweight EMF detector you can simply hold the detector near the device you want to check in order to determine if any electromagnetic waves are resonating from it.